Which? describe themselves as the only independent source of comprehensive crash-test and ease-of-use information for child car seats. They have tested the Multimac and the full results will shortly be available on the Which? website for members. 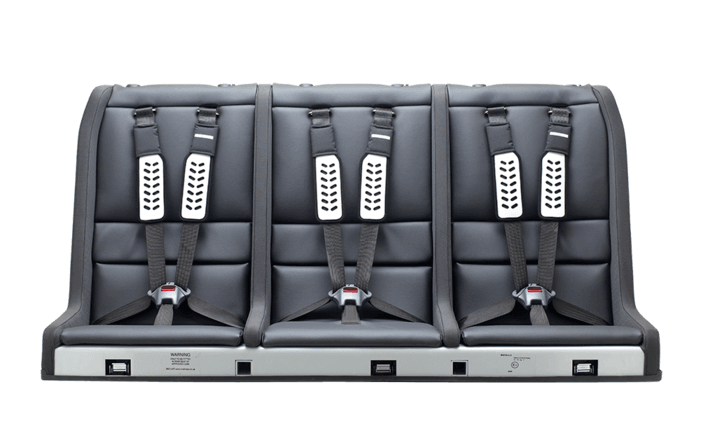 Which confirmed the very high crash safety performance for all dummy sizes in the official forward facing test, and the excellent side impact protection of the Minimac and Ylva headrest for children up to 6. We are currently finalising an adjustable “all round” headrest for children from 6 – 12, and this will fit all existing and future Multimacs, plugging into the integral headrest sockets. 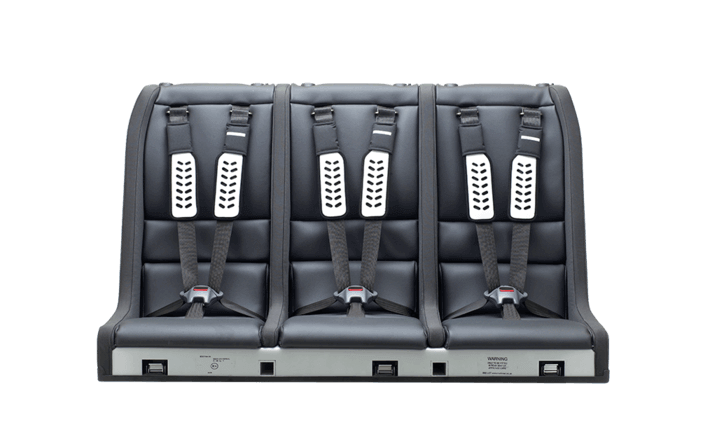 There are 2 sizes of individual seat options for the Multimac [standard or club] depending on your car width, and the MM-1260 shown on test has 2 [outer] club seats, and 2 [centre] standard seats. Normally, you would put your larger children in the Club seats…... 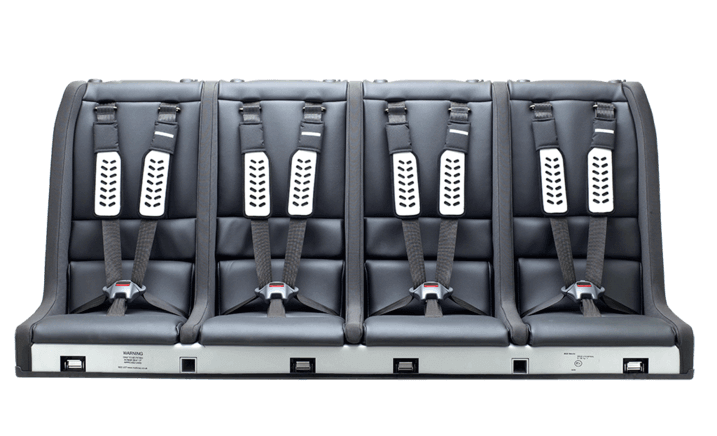 Even the MM-1200 with 4 ‘standard’ seats have been approved with 4 x 32kg dummies, but the ‘club’ seats are more roomy – much like standard and club class on an aeroplane.....nice if you have the option. Although the Multimac is quite heavy [35kg – it has to be, to absorb the energy and give the excellent crash test performance] it is very straightforward to fit in a minute once you have done it a few times, and many families move them between cars each week/weekend. Which commented that moving the seat between vehicles is complicated because the initial fitting of the tether straps requires spanner work. However, once the tether straps are fitted, moving the Multimac between vehicles is no different from transferring a regular child seat between cars. To read the full review, visit Which?